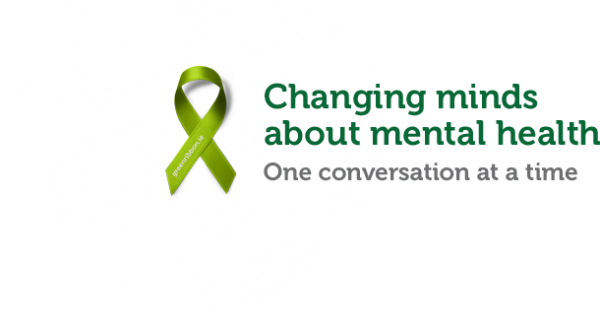 The Green Ribbon campaign will be encouraging the public to discuss mental health across the country during the month of May. Organised by See Change, the campaign is now in its fourth year. The message will be spread to every town in Ireland, with 500,000 ribbons being distributed to homes, workplaces, schools and colleges throughout the country. All that is required in showing support for the campaign is to wear a ribbon, and if possible start a conversation with someone and convince them to wear one too. The 2016 campaign was launched at 7pm yesterday evening at the Barack Obama Plaza in Moneygall, Co. Offaly. Speakers at the event were See Change director John Saunders and ambassador Laura Louise Condell, while musician and mental health advocate Niall “Bressie” Breslin kicked off the proceedings before engaging in a Q & A. See Change has 60 ambassadors, each of whom has personal experience with issues related to mental health. 28-year-old Condell has been treated for depression since she was 14, and attendees at the launch got to hear her perspective as she discussed her experiences, while Saunders gave a talk on the impact of the stigmas associated with mental health. The aim of giving talks such as this is to start a dialogue that will lead to action being taken towards mental health. There was also a live performance from Scoops, who recently finished a European tour and played songs from their EP “Best of You”.